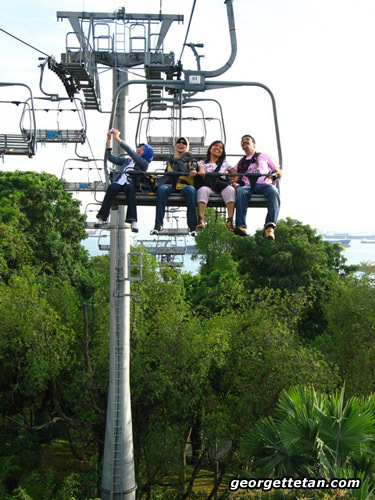 SKY HIGH: The Indonesian journalists in the Skyride bench somewhere above Sentosa, in the few seconds when Nancy didn't look like she was about to die. If you can't tell which one is Nancy, she's doing good. We're on our first free day in Singapore for a medical tourism familiarisation tour. Eeee.. I wanna go for skyride too ! !